When: Monthly on sighting the New Moon. Biblical: Instituted at: Exodus 12:1,2, Numbers 10:10, Psalm 81:3, etc. "And Aaron said: Take the earrings from your wives, sons and daughters, and bring them to me" (Exodus 32:2). The women heard and refused to give their jewelry to their husbands, but said: "You want to make a calf with no power to save? We will not listen to you." God gave them reward in this world that they keep Rosh Chodesh more than men, and in the next world they merit to renew themselves like Rosh Chodesh. (Pirkei d'Rabbi Eliezer, 45). When: Eight days beginning on Abib/Nisan 15 (sunset 14th). Exodus 12:14-17 "This day shall be to you one of remembrance: you shall celebrate it as a festival to the LORD throughout the ages; you shall celebrate it as an institution for all time. 15 "Seven days you shall eat unleavened bread; on the very first day you shall remove leaven from your houses, for whoever eats leavened bread from the first day to the seventh day, that person shall be cut off from Israel. 16 You shall celebrate a sacred occasion on the first day, and a sacred occasion on the seventh day; no work at all shall be done on them; only what every person is to eat, that alone may be prepared for you. 17 You shall observe the [Feast of] Unleavened Bread [matzah], for on this very day I brought your ranks out of the land of Egypt; you shall observe this day throughout the ages as an institution for all time. Celebrates the beginning of the harvest season in Israel, however much more importantly Pesach reminds us of the Exodus from Egypt and our freedom from all forms of slavery. This holiday empowers our declaration that "Never Again" will we sit by as our enemies abuse us. Our Exodus history is recorded in Shemot (Exodus) Chapters 1-15. Many of the specific Pesach observances are instituted in Chapters 12-15, other aspects come from diverse Jewish/Rabbinic Tradition. During Pesach all chametz (leaven: anything made from the five major grains -- wheat, rye, barley, oats and spelt) -- are removed from the home and strictly avoided. Ashkenazi Orthodox Jews also consider rice, corn, peanuts, and legumes (beans) to be of this category by their tradition. We Sephardi Jews do not consider these to be chametz and so may eat them. Everything regarded as chametz is removed from the home in memory of the fact we fled Egypt in a hurry, not leaving time to even let bread rise. This tradition is also symbolic of our desire to remove the puffiness of arrogance and pride from our souls. This is a time to take stock of what really matters in life, a reminder that in a moment our lives could be drastically overturned by circumstances beyond our control. Our only hope and certainty is HaShem. In His pleasure alone we place our emunah (active faith). Ta’anit Bekhorim: The Fast of the First Born. When: From the second night of Pesach (Passover) until the day before Shavuot, 49 days. Biblical: "Counting the Omer" is Torah Mitzvah 127 according to the count esstablished by Rambam and generally accepted: To count forty-nine days from the time of the cutting of the Omer (i.e. the first sheaves of the barley harvest). Sefirat HaOmer, What is an Omer and Why Do We Keep Counting It? How to Count the Omer: Sefirat HaOmer: The Nightly Count. When: Lag B'Omer is the 33rd day of the omer count. Chassidic: It connects Pesach (Exodus from slavery) to Shavu'ot (freedom from slavery through the revelation of HaTorah). The Torah commands counting the days from Pesach to Shavuot. This period is known as Sefirat HaOmer. There are several traditions surrounding this period of partial mourning (weddings, celebrations, parties etc. are forbidden as are haircuts and other optional elements of grooming). On Lag B'Omer the rules are suspended for a single day of joy. When: The two days immediately following the conclusion of Sefirat HaOmer. 16 you must count until the day after the seventh week—fifty days; then you shall bring an offering of new grain to the LORD. Also known as the Festival of Weeks, Hag ha-Bikkurim (i.e. the Festival of First Fruits), and the Festival of the Giving of Torah at Mount Sinai. Shavuot is two days beginning with the conclusion of the 49 days (or 7 full weeks), as calculated from the second day of Pesach (Passover) according to Sefirat HaOmer (the Counting of the Omer). Pesach remembers our deliverance from Egyptian slavery through the exodus. Shavuot reminds us of the freedom subsequently received through the giving of Torah at Mount Sinai. There is a popular ancient tradition of staying up all night on the first night of Shavuot in order to give oneself fully to Torah and Talmud study. As the morning dawns one should be engaged in Torah and prayer. One enters the mikveh followed by the morning Shacharit prayers. It is also our tradition to read the Book of Ruth during this night of study. Dairy meals are also part of the traditional observance. Work is not permitted on Shavuot. The 1st of Elul is the New Year's Day for the tithing of cattle. When the Temple is standing the tithe for cattle is made from cattle born in the same fiscal year, i.e. between the 1st of Elul one year to the next. Elul is, more importantly, the month of preparation for the High Holy Days. It is said that during this month HaShem leaves His Holy Place to walk among us looking for souls to forgive and restore. Elul is therefore the month of teshuvah or repentance. It is a time for intensive introspection and soul correction. During Elul we are encouraged to clarify our goals and plans for the upcoming year and beyond. More importantly however, this is the time for renewed spiritual communion and for coming closer to G-d with devekut (attachment) through increasing our emunah (active faith). Elul is a time for realizing ones purpose in life. During Elul ones attention forsakes sense gratification and turns to spiritual pursuits. We are more aware that we will soon stand before the Judge of all judges and we prepare our cases by seeking to correct all uncorrected wrongs. The shofar is sounded each day of Elul. Some Poskim rule one is to begin to blow the Shofar from the first day of the Elul Rosh Chodesh (being the 30th of Av) while other Poskim rule the blowing of the Shofar begins the second day of the Rosh Chodesh (being the first of Elul). Our sages explain that the four Hebrew letters of the word Elul (aleph-lamed-vav-lamed) are the first letters of the four words אֲנִ֤י לְדוֹדִי֙ וְדוֹדִ֣י לִ֔י הָרֹעֶ֖ה בַּשׁוֹשַׁנִּֽים׃ (ס) — "I am my beloveds" and my beloved is mine (Song of Songs 6:3). During the month of Elul HaShem abides with His people in special intimacy. 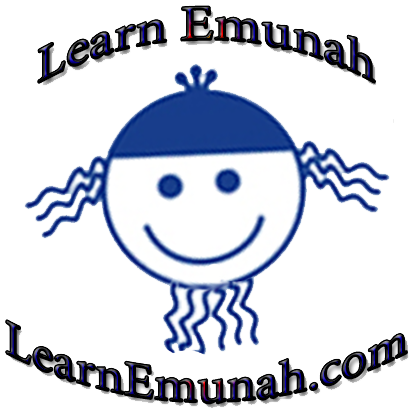 Rabbi Shlomo Nachman's Introduction to the Month of Elul: Your browser does not support the audio element. The seventh Hebrew month of Tishrei serves as the New Year for several purposes. The best known being Yamim Noraim (Days of Awe or Days of Repentance) the High Holy Days. It is the main Jewish New Year Day as it includes the civil calendar as well the new year for the seasons. Tishrei is an autumn month comprising 30 days, usually occurring in September or October of the western calendar. 24 Speak to the Israelite people thus: In the seventh month, on the first day of the month, you shall observe complete rest, a sacred occasion commemorated with loud [shofar] blasts. 25 You shall not work at your occupations; and you shall bring an offering by fire to the LORD. Tzom Gedaliah (the Fast of Gedaliah) is an annual fast day instituted by the Jewish Sages to commemorate the assassination of Gedaliah Ben Achikam, the Governor of Israel during the days of Nebuchadnezzar King of Babylonia. As a result of Gedaliah’s death the final vestiges of Judean autonomy after the Babylonian conquest were destroyed, many thousands of Jews were slain, and the remaining Jews were driven into final exile. The fast is observed on the day immediately following Rosh Hashanah, the third of Tishrei. In the Prophetic Writings this fast is called 'The Fast of the Seventh' in allusion to Tishrei, the seventh month. See this article on OU.com for more information. 28 you shall do no work throughout that day. For it is a Day of Atonement, on which expiation is made on your behalf before the LORD your God. 32 It shall be a sabbath of complete rest for you, and you shall practice self-denial; on the ninth day of the month at evening, from evening to evening, you shall observe this your sabbath. This is arguably the most important day of the year (excluding the weekly Shabbat). One should refrain from all work and all pleasures. One should do a full fast (health permitting), seek forgiveness for wrongs done, concluding the repentance of Yamim Noraim. 34 Say to the Israelite people: On the fifteenth day of this seventh month there shall be the Feast of Booths to the LORD, [to last] seven days. 36 seven days you shall bring offerings by fire to the LORD. On the eighth day you shall observe a sacred occasion and bring an offering by fire to the LORD; it is a solemn gathering: you shall not work at your occupations. 38 apart from the sabbaths of the LORD, and apart from your gifts and from all your votive offerings and from all your freewill offerings that you give to the LORD. 39 Mark, on the fifteenth day of the seventh month, when you have gathered in the yield of your land, you shall observe the festival of the LORD [to last] seven days: a complete rest on the first day, and a complete rest on the eighth day. 40 On the first day you shall take the product of hadar trees, branches of palm trees, boughs of leafy trees, and willows of the brook, and you shall rejoice before the LORD your God seven days. 41 You shall observe it as a festival of the LORD for seven days in the year; you shall observe it in the seventh month as a law for all time, throughout the ages. 43 in order that future generations may know that I made the Israelite people live in booths when I brought them out of the land of Egypt, I the LORD your God. 44 So Moses declared to the Israelites the set times of the LORD. Observed on the 22nd and 23rd day of Tishrei 22 (which is the eighth day after entering the sukkah). This is a Rabbinic Tradition derived from Torah. The festivals mark the completion of the annual cycle of Torah readings (or parashot) and the beginning of the annual reading cycle (with Bereshit/Genesis 1:1). Two days of celebration with dancing and joy. Often viewed as part of Sukkot, but technically occuring on the days following it. We now return to normal yearly cycle of our observances. According to Jewish tradition (recorded in the Babylonian Talmud: Shabbat 21b) at the time of Temple's re-dedication there was not enough oil left to keep the Temple menorah lit as required. There was only enough oil to burn for one more day. Miraculously this oil lasted for eight days (the time needed to prepare a fresh supply). To remember this miracle an eight day festival was declared known as the Festival of the Lights. This account does not appear in the Book of Maccabees but is described in the writings of the Rabbis. Based on this miracle, each night a flame is lit in a special menorah called a Hanukiah by Jews around the globe in memory and thanks following a traditional lighting pattern. On Asarah B'Tevet, the 10th day of the Jewish month of Tevet, in the year 3336 from Creation (i.e. 425 BCE), the armies of the Babylonian emperor Nebuchadnezzar laid siege to Jerusalem. Thirty months later, on the 9 Tammuz 3338, the walls of the Holy City were breached, and on the 9 Av the Holy Temple was destroyed and the Jewish people were exiled to Babylonia for the next 70 years. In memory of this tragedy Jews refrain from all food and drink from daybreak to nightfall (health permitting), and add selichot and other special supplements to our prayers. The fast ends at nightfall or as soon as three medium sized stars appear in the sky. 25 and only in the fifth year may you use its fruit—that its yield to you may be increased: I the LORD am your God. Mordecai recorded these events. And he sent dispatches to all the Jews throughout the provinces of King Ahasuerus, near and far, charging them to observe the fourteenth and fifteenth days of Adar, every year — the same days on which the Jews enjoyed relief from their foes and the same month which had been transformed for them from one of grief and mourning to one of festive joy. They were to observe them as days of feasting and merrymaking, and as an occasion for sending gifts to one another and presents to the poor. The Jubilee Year is not currently observed. It will be reinstituted once Mashiach ben David is ruling. For more: When is the Jubilee Year?.